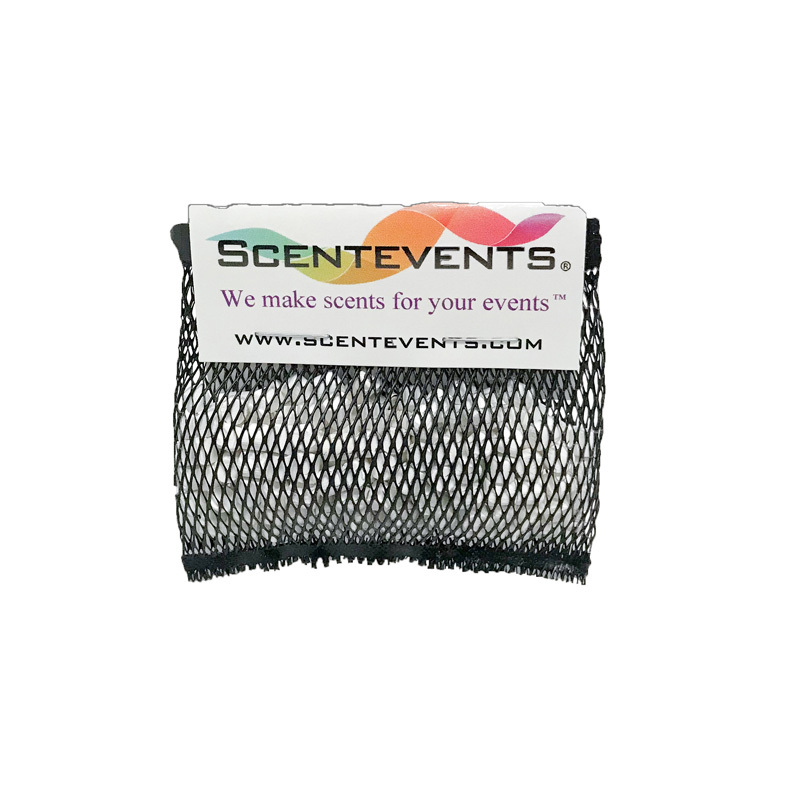 Each 8″ Scent Sleeve will scent a space 500-2000 square feet for up to 12 hours (particular scent, air flow, and fan speed will affect scent coverage, time and intensity). 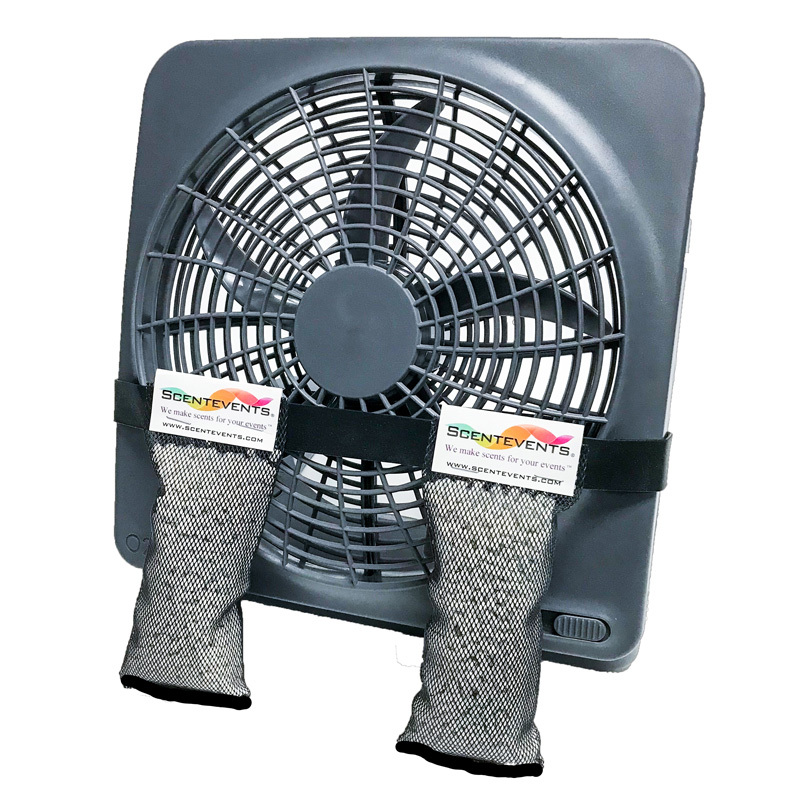 The 10″ Scent Fan is a 2 speed AC or Battery operated fan. Includes AC power outlet and Scent Sleeve Band. Use with one or two Scent sleeves to scent spaces of 500-4000 square feet. Includes AC power adapter. Can be powered with batteries for up to 72 hours (8 D-cell batteries not included). Tilts to direct airflow where needed. Scent Sleeves, Sachets and Scented Beads are simple, economical and flexible. Specially formulated All-Natural Ceramic beads are infused with a variety of Scentevents fragrances, essential oils or client-supplied fragrances. 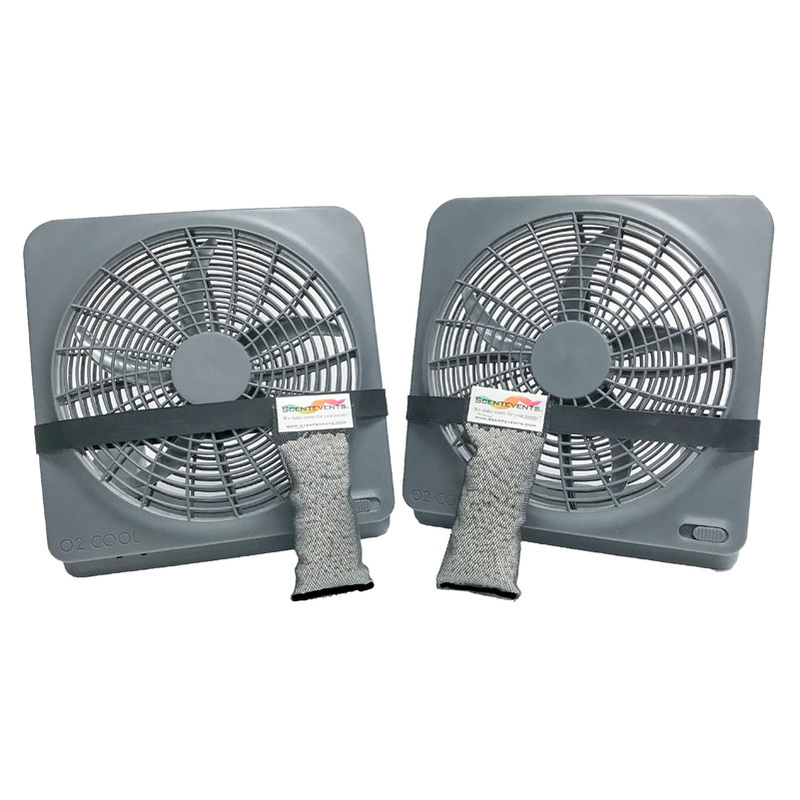 Scent sleeves, sachets and beads can be used with virtually any size fan or air blower, or as air fresheners (no fans are necessary) for home, office, auto or boats. 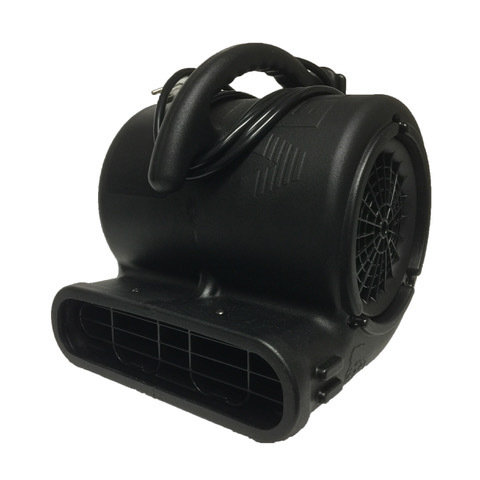 Multiple sleeves & sachets can be attached to air movers to adjust scent intensity and coverage area INDOORS OR OUT!